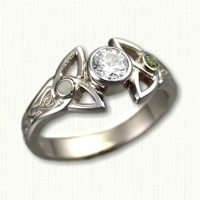 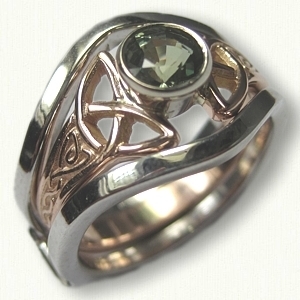 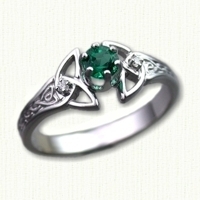 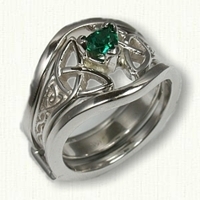 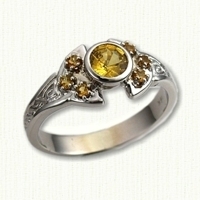 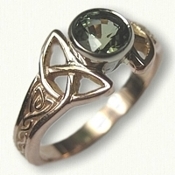 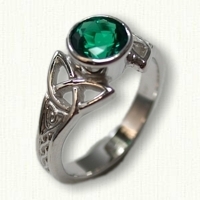 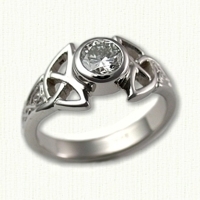 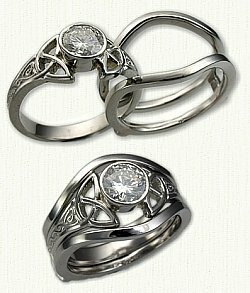 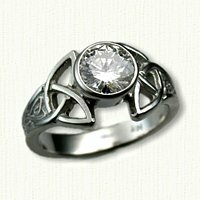 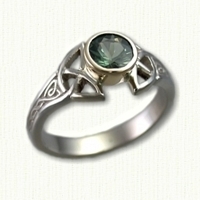 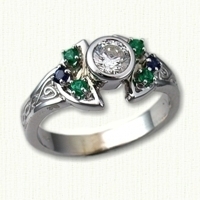 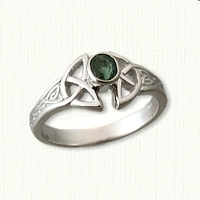 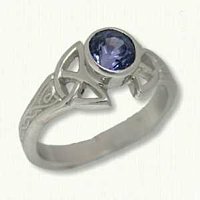 Celtic 'Alysia' Engagement Rings: White Gold, Yellow Gold & Platinum Engagement Rings. Recommended stone sizes run from .75ct to 1.50ct round. 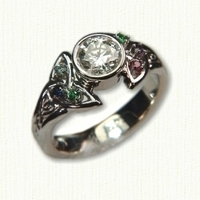 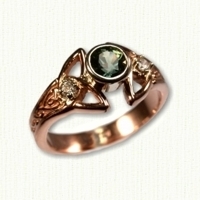 All rings are prong set unless the customer requests bezel setting when ordering. 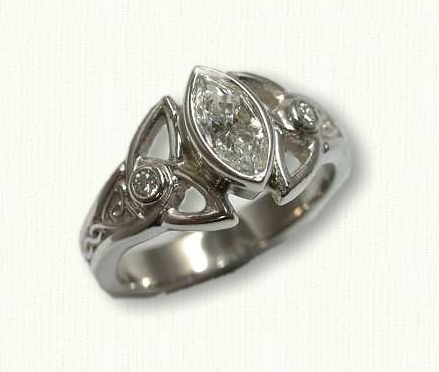 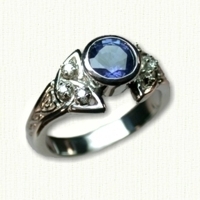 The appearance of your ring may be slightly different depending upon finger size and your choice of center stone. 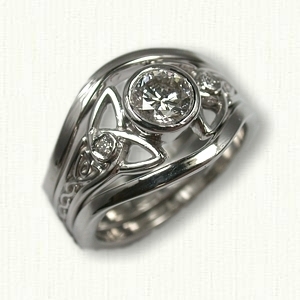 This ring has a tapered shank, because of this we suggest a shadow band or custom contoured band for best fit.